✅ Trip Verified | Gothenburg to London. Flights were on time. Staff were friendly. However, a new trick as usual has been introduced by Ryanair. They reduced the size of the cabin luggage to less than what’s generally approved by other airlines! Also the left armrest has been broken and removed! "I found the staff very friendly"
✅ Trip Verified | I booked my ticket several months ahead of my journey. Check-in online was easy and straight forward. The bag drop at Gatwick was well organised and I found the staff very friendly. As I was travelling before Easter the airport was very busy and yet the staff coped admirably. Before boarding, I noted with curiosity that each person checking-in had his / her photograph taken before boarding the flight. The flight left in a punctual manner and the staff worked hard. They made an announcement about a passenger with a nut allergy and took matters very seriously. The relatively short flight was well managed. My seat was not at all comfortable alas. The price I paid was not that much cheaper than the rivals on the route. One gripe was that I had paid for my cabin baggage and was asked by a crew member to place my bag under my seat "just for take off" - this turned out to be for the full length of the flight as the cabin crew member placed another passenger's bag into the overhead locker I had paid for. ✅ Trip Verified | Chania to Brussels Charleroi. The plane was a real garbage bin. Besides the fact that the flight left late (only 25 minutes), the plane was dirty. So if you have any dust allergies, avoid this company. ✅ Trip Verified | Stansted to Rome. Terrible experience today! Not very pleased to say this is not my first with Ryanair. So we book our flight in March for today, 20th April 2019. We checked in yesterday and paid for the selected seats (after already having acquired Priority and 2 Cabin Bags) for 2 travellers. We leave Wales at night and get to the Stansted airport more than 3h prior to departure. The flight was scheduled at 6:25. At 5:10 still nothing is showing on the screens, so I go to the toilet and then we head straight to security. As soon as we get through security we look at the screen again (around 5:40) and the screen says "Final Call". Being in a a rush we run through the queues and head to gate 59. When we get there we get told that it's actually gate 91 (other side of the airport) and the lady says "there's only 2 minutes left, you won't make it". We ask whether she can make a call to advise we are on our way and this obviously was declined. So we start running again, with backpacks and hold luggages, to get to the right gate. This was very difficult to find and the airport staff we asked weren't that helpful. As expected we don't make it on time. We make our way to the "Returning Customers" gates and the airport lady did not even give advise on where to go or what to do, but simply cancelled our boarding passes and wished us a "lovely weekend". Lovely Easter weekend: stuck in an airport and our families waiting for us overseas! Ok, so we lose the money paid (around £90) but we don't give up on spending our holidays with our relatives and friends! 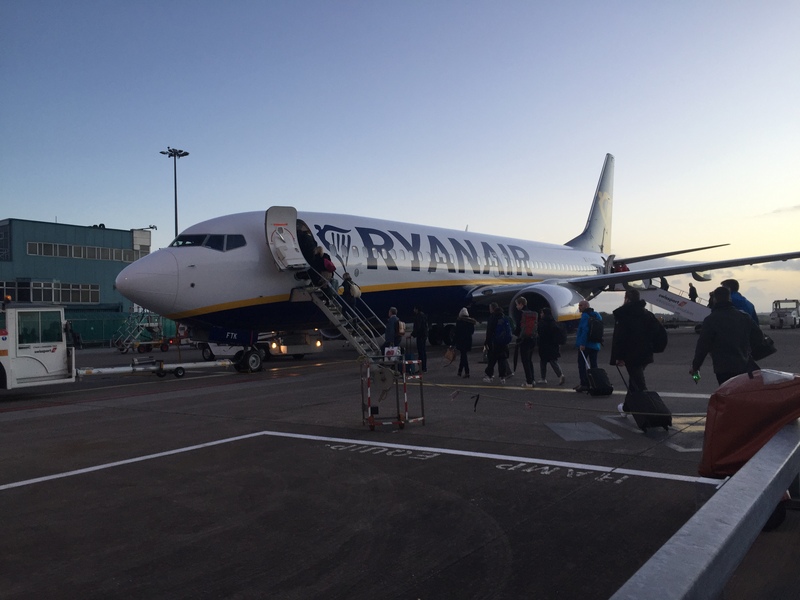 So we buy the next available flight from Stansted to Rome: 13:25 same day, with Ryanair. We pay the tickets, pay for the 10kg bags and do the check-in straight away. 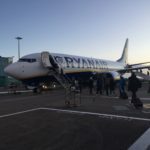 Having travelled with Ryanair for many years I knew that they are able to refund part of the original ticket price (€100 or £79), to use this money towards the cost of the new booking. This is apparently only applicable in certain circumstances, one of which is if you show up at the Ryanair desk not later than 1h after the original departure time. We get into the queue 15/20 min before the deadline and wait for about 30 min, to then be told by the two very unhelpful and disregarded agents (who had not a clue of what this process is), that we had to speak to the Money Exchange team. We leave the queue and wait to speak to this lady who, obviously, said "I have nothing to do with flights". Customer Service was terrible to say the least. What happened to the "Gate Open" and "Boarding" announcements on the screen? Is it a new trend to jump straight to the last call? To cause people stress, sickness, anxiety and everything else that comes with missing a flight, including massive extra financial expenses? Or is this just the way airlines operate today? Playing sick games to ensure people miss flights and spend extra money? 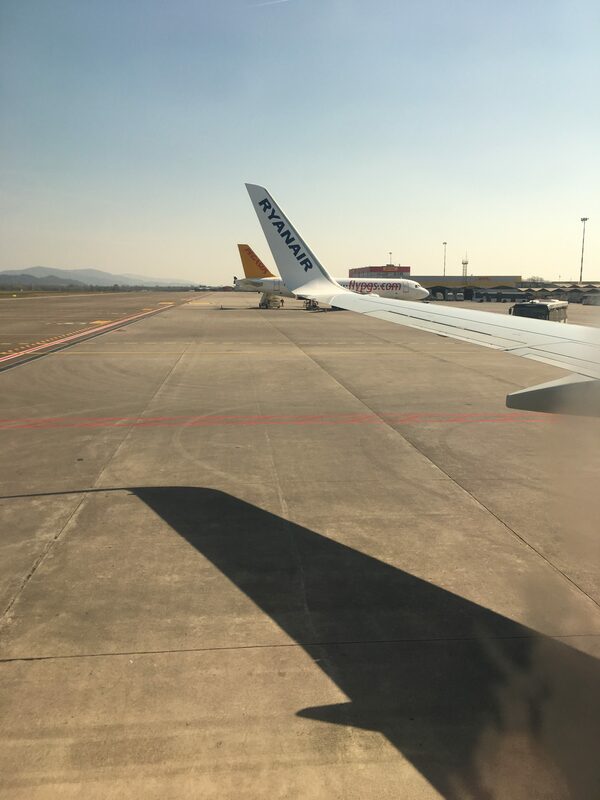 Initially I mentioned that this was not my first misfortune with Ryanair: 3 years ago, summer time, my flight was delayed by 3 hours...my solicitors told me that my claim for refund/compensation has been placed on hold due to Ryanair having too many complaints and not dealing with them. We are currently about £300 short due to failure to follow the process on the screen, failing to call our names for the last call (we had priority, there was plenty of time! ), plus the hours lost hanging around waiting for another flight. 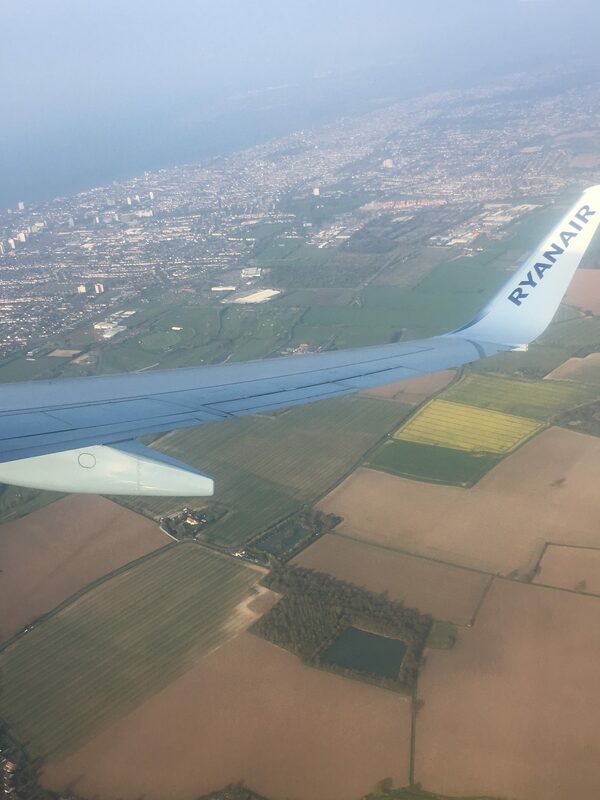 ✅ Trip Verified | Munich to Palma de Mallorca. Laudamotion/Ryanair is probably one of the biggest scam airlines, I’ve ever seen. When boarding the plane, they make customers pay 20€ per carry-on bag (!) in cash (! ), claiming that it was advertised in a confirmation email before (which it never was). We did not have enough cash on us and had to borrow money from some random people who were as baffled as we were by this scam move right before getting on the plane. Why don’t you make the tickets 20€ more expensive instead of fooling people into booking a ticket and then screwing them before they are about to board? ✅ Trip Verified | Manchester to Barcelona. Read the fine print very carefully. I did not, and I paid dearly. Luggage: included in the cost is what you can fit under the seat in front of you. It appears they purposefully spread your group out in the cabin. For example, I had an empty seat next to me on one of our flights, yet they didn't seat my young daughter and I together. She was in the rear of the plane and I was up front. Seating together costs extra. Technically they charge for choosing your seat, but again, my opinion is that it seems they make an effort to spread families around the plane unless you pay for the seating option. Their check-in process is a scam. You will receive an email 3 days before travel telling you to check in online or you will be charged 55 pounds. Okay, fair enough because they have warned you with a personal email, until you try to check in. After you enter all your passport and personal information for you and your party and go through all that hassle and get to the end of the check-in process, they'll tell you that you have to pay a fee to check in prior to 48 hours before departure. If you forget (like I did) and remember to do so once you arrive at the airport 1 hour and 59 minutes before your flight (like I did) and try to check in online, it will cost you 55 pounds per ticket. Here's the process: a) Wait in the queue at check in. The check in person informs you that you owe a fee. She fills out the a form (by hand) that you have to take to customer service. Wait in the queue at customer service. Pay your fee (which for us doubled the cost of our tickets). They fill out another form by hand (including credit card information by hand) and stamp it. You have to take this new form back to check in. Wait for a second time in the check in queue. You hand her this second form and she finally issues the boarding passes. Run to security because although you arrived 1 hour and 59 minutes early, most of that time has now been spent in 3 queues just to get a boarding pass. Again, read the fine print and understand what you are in fo. 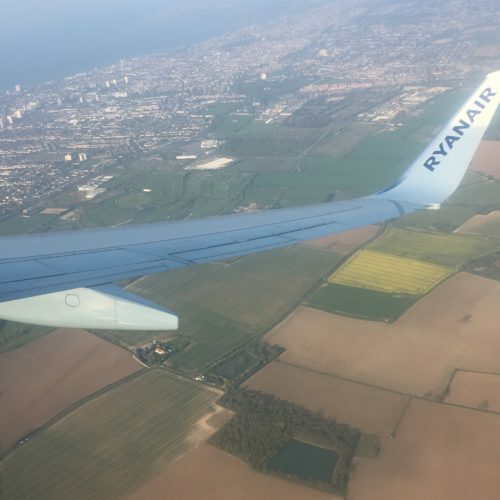 I recognize my own failings working with Ryanair, but it really seems like their process is designed to cause a certain number of passengers to fail at their game and when you fail, you pay so dearly. "24 EUR for two pieces of 10kg luggage"
✅ Trip Verified | We had booked two tickets and wanted to add hand luggage later. We couldn't change one of the tickets to priority with one hand luggage of 10 kg although this is promised on your website. We couldn't change just one of the tickets. So we had to pay 24 EUR for two pieces of 10kg luggage although we only had one. It wasn't communicated clearly, that we couldn't take the 10kg luggage on board. The term check-in luggage is misleading. When we asked at the gate what we should do with the additional luggage, we were told to join the Non-Priority line. Shortly before boarding, when it was too late to drop off the luggage, we were told that we were supposed to drop off the luggage and that we would have to pay another 20 EUR now to take the luggage. There is no information the website about how to complain about things like that. 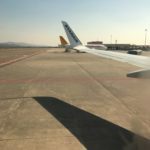 "extra for picking your seats"
Not Verified | Palma de Mallorca to Bristol. Shocking airline. They charge extra for picking your seats which is fair enough. We knew the flight had lots of spare seats so didn’t pick our seats. But what they do is purposely sit all family’s and couples away from each other to make you pay to choose your seats. Which then results in mayhem on the plane. Everyone wanting to move closer to there family causing the plane to be delayed. So many hidden charges. Very uncomfortable seats. Actually not that cheap once the hidden charges have been added. I will never use them again. ✅ Trip Verified | Southend to Milan. Great flight for £9.99. Punctual, new aircraft, very smooth flight. With little money I can enjoy Europe and spend more money to visit museums and other tourist attractions!